Are you facing problem to rank your Website ? Not getting much visitors on your website, could not be able to rank on tough Keywords. Here is a best Solution to figure it out. To Rank on google it is very important to search a keyword which has high volume of visitors per day but less numbers of competition. If you are planning to start blogging then, firstly you should select a keyword on which you are thinking to rank on google. 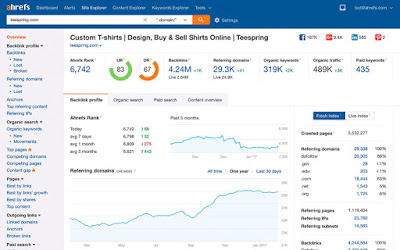 To Rank on google on particular keyword which has high competition then it will be very difficult to rank on it or you could not be able to Rank. When Google Will Crawl your Website it will check how much long your article is, what is the domain age, It a SEO article or not, Is there any copyright content or not. The moat important thing google will rank those articles which has been publish before since 1-2 years ago because there domain authority is very high they have more backlinks then yours and their website is much powerful on social media than yours. To rank fast on google you must work on such keywords that are not most used common words because many bloggers have already start working on it. You should choose that keyword which has huge volume of visitors and Less number of competition it will help to rank faster on google because no blogger has started working yet. It is a no. 1 keyword Researching tool to search a top keyword. It shows how much searches on that particular keyword per day and shows how much is the difficulty to rank on that keyword. It also provides many keyword ideas. It also analysise the competitor websites on which keyword he/she is ranking, How much and from where he generates traffic? How many websites he linked with (Backlinks) ? 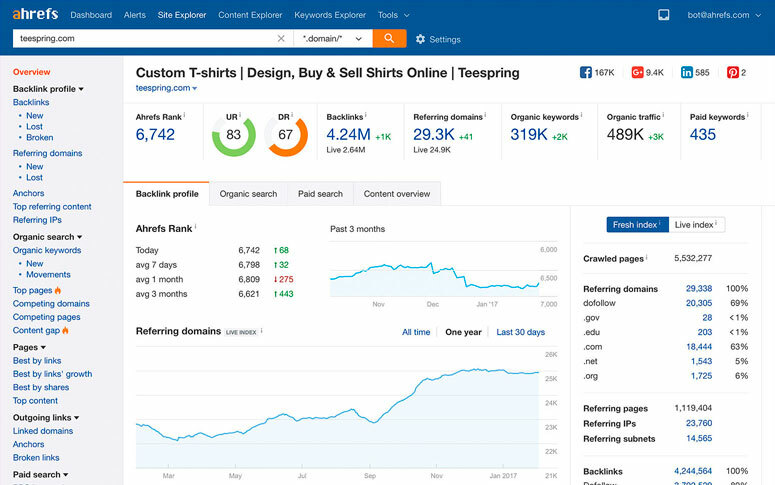 It is a very best tool to search a keyword and also about your competitor and customize your websites as the competitor to beat the Competitor and secure your 1st position on 1st page of Google. Start blogging publish articles daily work on SEO, make Backlinks and share on Social Media after doing all this ( after 1-2 Month ) then your article will start ranking on google. Hope you like an article please follow us facebook and subscribe us via email to get latest post directly to your email.